On Wednesday, my middle school daughter had picture day. Now, the universe and I have had a long and loving relationship, but I’ve felt lately like he’s become increasingly unreasonable. More demanding. Kind of a punk. As though all that Awesome Cosmic Power has gone to his head. I decided, therefore, that the universe would need to make it up to me by doing my laundry this year, like a timeout or “opportunity to rethink his position” but with natural consequences, which would serve the dual purposes of knocking him off his high horse for a while and maybe, if I was very lucky, making a dent in Mount Laundry. Win/win! On Thursday, one of my 1st graders was home sick. With diarrhea. Which created more laundry. Also, the eggs froze in the back of my fridge and we were late getting ready for school so I put a couple in my bra to warm them up. Free back-to-school breakfast tip, folks: putting eggs in your bra doesn’t end well. Well played, Universe. Well played. Today is Friday, which means today is the day my 1st graders reminded me that I’ve been promising to ride bikes with them to school. In Oregon. Where a giant (even for us) rain storm hit last night. With cascading water. And flooded streets. And waterfalls. And also lots of water. I casually mentioned to said 1st graders that it was raining and implied that we could, perhaps, wait ’til next week to ride our bikes since none of ours come with flotation devices. They collapsed on the floor in tears. And I, as always, played the role of Total Sucker. We rode bikes to school. Cai’s tire got a flat. We rode through snow, sleet, and hail. Minus the snow, sleet and hail and plus buckets of rain and mud. And that’s why I arrived at the school again an hour after school started to put two muddy bikes in my car and deliver a missing backpack to my kid. Wet. Bedraggled. Disheveled. In other words, a mess. Which makes this morning just like every other morning at our house. We do train wrecks here. And oh my word, you guys, can I just say, my heart flew? Flew. Because with that one phrase, I thought, YES. Yes, we can be here. We can be who we are. We can be our raging mess. We can be embraced for that. Like it’s normal. Like it’s OK. Like we’re OK. And worthy of grace. And also with that one phrase, Heather summed up all of what we do here. In this online space. Because we do train wrecks here, too. We do magic and mess. And tragedy and triumph. And chaos and compassion. And sacred and scarred. The last few days here have exhibited that in spades. People are raw. And messy. And passionate. And scared. And angry. And kind. And unkind. And hurt. And helpful. And healing. And, well, all of it. We’re all of the things. All of us. I just want you to know that it’s OK. It is. Because we do train wrecks here. Some of you have asked me questions. Particularly on the last post. But it’s hard to tell which questions are rhetorical and which are questions for which you’d really like a reply. I want you to know, I’m not ignoring you. I just would like to engage more sincerely and less, well, volatilely. (Let’s pretend that’s a word, shall we? <— Rhetorical. We’re totally going to pretend volatilely is a word.) So, for a limited time, due to the fact that my kids are in school with all their backpacks thankyouverymuch, but get out of school later today, I’m going to hang out here and answer questions. As many as I can. I’ll let you know when I need to stop. So here we go. AMA: Ask Me Anything. You know, like how I feel about cheese. UPDATE #2: I wasn’t able to be around to answer questions when I planned because, you know, life. So I’m going to leave the AMA open indefinitely. I’ll let you know if I need to close it. For now, if you have questions, feel free to ask them. Encouragement I'm an enormous idiot. Plans are for sissies. Schadenfreude Yeah but are we there yet? So, you can thaw frozen eggs and still use them? I had 2 dozen freeze when my car was impounded and I was arrested coming home from grocery shopping. (I promise I am not a felon, and all I have to say is make sure you don’t forget to pay your speeding tickets, even the ones for 30 in a 25 that seem minuscule at the time) Luckily my three preschoolers were all at home with Daddy at the time. But it’s 2 DOZEN eggs! I’ve been keeping them frozen on my porch because I didn’t know what else to do with them… if I can just thaw them in some warm water, we’ll totally have breakfast for dinner tomorrow! On a hormonal wreck of a day – when I’ve been mean to my kids. Yes. Mean. Not abusive, but not kind. And feeling worse for it . . . gathering up the ingredients to make humble pie and apologize – I *needed* to be reminded that we’ll just work with train wrecks are taken as they come. saw the pic of your bedroom…1st–bedrooms don’t count, because you don’t have to let company see them 🙂 And 2nd–there IS a walking path–so you should feel great about that. My husband has been traveling for work 3 of the last 5 weeks. And the day he got back, we had (over night) company. And their only child is a 6 week old baby…so, I’m guessing they were a little surprised when they saw my house–I swear it was as clean as I could get it…but it looked very similar to your bedroom because I have a 2 1/2 year old and a 1 year old. And every time I put things away, I am reminded of your post about how house work cannot be created or destroyed (it makes me feel better!!). Needless to say–they left early–probably scared they would drop their baby while navigating our mine field. And I’m just NOT handling the multiple transitions well, ya know? Like, I totally meant to cover the new RV chairs with plastic (why, oh, why did they put cream colored fabric on the kitchen table chairs?!) so that I wouldn’t have to worry about my 15 month old spilling (and throwing) her food all over. But, since I haven’t even managed to find the grocery store, well, it hasn’t happened. And so today, when we acquired red tomato sauce stains on the cream colored seats, I just had a meltdown. And cried. For a long time. In front of the confused toddler. And that’s not to mention the toddler meltdowns, when mommy tried to do more than the little could handle. Or, truthfully, than the mommy could handle. And, yes, all the preceding questions were rhetorical. I’m just glad to have a friend who knows train wrecks. So glad the AMA is still open! So I wanna know how you still maintain that beautiful love and grace and kindness you refer to at times while still being a parent and trying to maintain boundaries and order and limits and little crazy people constantly trying to check if you really truly mean what you say? I have a 4, 3 and 13 mos old and there are some seriously challenging days and lots of fun but I know I need to loosen up and find the humor a little more. Now this is Not the Parenting Philosophy that the Experts With Rules approve of. No. This is Wishy Washy Parenting. This is The Kids Think They Have a Say Parenting. This is Oh Dear God It Takes a Ton of TIME Parenting. But, it turns out, this is the parenting that feels right in my gut. Because I actually want my kids to have a say. And I want them to learn why there are reasons behind the rules. And I want them to challenge authority in positive ways so they grow up with the understanding that sometimes authority is right and deserves a respectful, supportive following, but sometimes authority is wrong and is not kind or merciful or loving and then we must stand up, always, for Love. Yes, I know there are many, many parents who will disagree with me and who will think I’m raising a bunch of hooligans. So far, my results show they may be right. But my results also show kids who are thoughtful and kids who are committed to compassion and kids who are confident. I believe, absolutely, that there is more than one right way to parent kids. I have friends who are much better at Setting and Enforcing Rules and What I Say Goes and I’ll tell you what… their kids are also kind, compassionate, and confident. But the secret to parenting philosophies that none of the parenting books will tell you and LOTS of experienced parents will tell you is this: the right parenting style for you is the one that works for you and your kids. All I know is that, for me, when I released the expectation that I’d find the Holy Grail of Parenting Styles, when I ditched the “experts,” when I started to respond to each situation with “what is kind?” and “if I was the kid, how would I want to be listened to and respected and loved?” and when I became determined to find the humor in the chaos, my entire family was happier. We came alive. We learned to trust each other. To believe in each other. Wishing you all the very best, April, as you learn what’s best for you and yours. x’s and o’s, mama. Your reply made a lot of sense to me and gave a me a bit of peace that it’s ok to find my own way and just THANK YOU. Due to your example about parenting in one’s own style, I’ve discovered in my daughter’s 4 years that my parenting style is the 4 S’s: silliness, surliness, sarcasm and snark. Is it working? She’s still alive, we’re still alive, there’s food in the house, and occasionally we glimpse the floor under the clutter. NAILED IT! Thank you, Beth. Thank you. Also? I caved and decided to join MOPS this year… their theme? Beautiful Mess. Yeah, I’m hoping it will be a good year! Thank you for your humor and honesty. I had tears in my eyes for hours from laughing and crying over your posts. I love the way your faith provides a quiet foundation for what you write. And I am so glad that even during your craziest train wrecks, you felt welcomed and loved at church. That is a huge blessing. Well, I’ll join the party and delurk as well. I found your site a few months ago when I was researching adoption, but I’ve come back so many times because I appreciate how you approach parenting with a sense of humor and self-deprecation. When I became a mom, I was amazed to find how terrible moms can be to each other. You are supportive, real, and funny, which is such a relief! But, what I really want to tell you is that I have two kids, a toddler and a baby. They’re great kids, but they were both 2.5 lb preemies. We have had some really tough days over the last three years. On difficult days, I ask myself how other people do it, people with five kids. And then I hear you saying, “TWO kids is a lot of kids.” It keeps me from comparing myself to others, and it reminds me that being a mom is hard if you’re doing it right. It forces me to cut myself some slack. Thank you for that. 2 questions: where is the link to the store? And now that your kids are back in school, what is your favorite thing to do during the quiet? Oh, I lied. Third question. How did you respond to starts with M and ends with att’s proposal from the Mrs. Hall’s (edited) comments? Reading your blog lately has been the definition of serendipitous. 1. The store is at http://fivekidsisalotofkids.spreadshirt.com/. I keep meaning to tell you all about it. Some of the items in there, like the math equations, may require explanation. (The nerdiest one is an equation for Any Number of Kids is a Lot of Kids. :)) My brother set the store up and created all the designs approximately 5 months ago because I PROMISED him at least 1 person (me) would buy something and he would earn a whole pack of gum for his trouble. But I haven’t bought my Angery Dragon t-shirt yet or my equation mugs, so I really should get around to that. 2. I write. All the time. And I love it. These are my work hours where I pull out the notes I take on my phone and laugh at the things my kids did over the weekend and tell you what a dork I am. It’s a good time. I have a sign at home that reads “This place was built from CHAOS into a shining example of disorder.” 🙂 Pretty much sums it up around here. As far as the Mrs Hall letter goes, I agree with everything you said and back you 100%. I too have a girl and a boy (just one of each, though I feel the Mama to 5 title is one in my future) and though they are little, the mixed messages and double standards already shock me. Speak your truth- we love you for it. I know the AMA has expired, but could you share with us (either here or in a new post), _what_ happened with the frozen eggs in your bra? Pretty please with peaches on top? When my eggs freeze (which happens _all_the_time_ *), we just crack ’em directly into the frying pan, and kind of half-scramble, half-fry them. Sometimes we have to peel the shell off from part of it, but if you don’t mind cold slimy stuff in your hands, you’re good! No worries, Emily. The AMA hasn’t closed. I ended up being away from home for much of the day yesterday because you know what’s better than biking to school in the downpour? Not being able to get a migraine under control and spending some quality time at the ER. Free fun for everyone! Except minus the “free” part, of course, because GEEZ, THAT’S EXPENSIVE. But did you know that if you have a migraine and ask for nonnarcotic treatments, the ER staff suddenly takes you very, very seriously? It’s awesome. Also, nonnarcotic treatments can work. HOORAY! Our refrigerator is kind of crap. Not super bad crap-crap like our past refrigerators, but not, you know, always effective from a temperature-control perspective. And that’s OK. It mostly works, and mostly is good enough. But every once in a while stuff freezes in the back. Like the eggs. And I decided, after finding bugs in the Frosted Flakes (after eating 1/2 a bowl myself… YUM!) that I’d make something, you know, nutritious that might provide longterm energy. Although the bug were probably a fine source of protein, so I should’ve left well enough alone. Anyway, I tried to crack the first one in the pan and it was hard as a rock. Barely dented the shell. Couldn’t crack that sucker to save my life. So I tossed it back in the bowl and tried another. Same deal. So I did what any reasonable person would do (or just me, because I can’t think of anyone else who would think this is reasonable) and I took 2 more and shoved them in my bra, hoping to get them at least to the slushy state where they’d slide out of the shell and into the pan. I forgot that frozen eggs often come with hairline fractures. And I didn’t think about the fact that, while some of the eggs in the bowl were frozen solid, some were already not quite so frozen. So they might have thawed a little quicker than I anticipated. And then I might have leaned over to grab a kid plate from the bottom shelf of the cupboard. And then, like they always warn us, contents might have shifted during flight. Which was enough to put pressure on the hairline fracture in the eggshell and send crushed, freezing egg slime slush all over my chest. I want you to know, I scooped those suckers out of my bra, dumped the goo in the pan, picked out the shells and fried ’em up. 🙂 Serves them right. And then I went upstairs to change. I just want to say I love this!! “We do train wrecks”…if someone had told me that, I would have probably hugged them and promised baked goods of some sort on our next meeting. My question for you is this…my husband & I are trying for our third. We have a 5 1/2 & 4 year old, and I’ve heard the transition from 2 to 3 kids (or more!) is easier than that initial transition from 1 to 2. Would you agree with that, or is it just more insanity and you are forever outnumbered?? Ah! This is a GREAT question, Becky, and I don’t know the answer because we’ve never had 2 kids. Or 4 kids. We made the transition from 0 to 1 and 1 to 3 and 3 to 5. But it got better. SO MUCH BETTER. So, so, so, so, SO much better. And you know what’s funny? The transition from 3 to 5 wasn’t hard AT ALL. I mean, yes, it was EXHAUSTING. And yes, EMOTIONAL. And yes, five kids is a lot of kids (like one was a lot and three was a lot). But Greg and I had learned to love each other better by then. And we’d learned how to work as a team. You know, most of the time. And we’d learned that there was a light at the end of the tunnel and that it was hope and not an oncoming train. So I guess what I’d say, to make a long reply even longer, is this: everyone is different. And every situation is different. And every kid is different. And the ingredients for success have very little to do with numbers and everything to do with finding a path toward grace in the midst of the grime and magic in the midst of the mess and the sacred in the midst of the insane. Thank you Beth! I’m really encouraged by your words, and in a way it’s confirming what I was already suspecting—that it’s more about my & my husband’s state of emotional/mental/spiritual health than the number of kids we have or don’t have. With the decision to grow our family, I’ve made a renewed commitment to my husband that I will be there for him in ways that I wasn’t when the first two were babies. I was a new mama, and he felt neglected, which to be fair was probably true! I don’t want to assume that I can “handle” everything better now, because I’m still not superwoman or ever will be. BUT, with celebrating our 10th anniversary this year, I can say with confidence that I’ve learned a few things along the way. Things like self-care, time with Jesus, prioritizing time with my husband in ways that he feels loved, and not over-committing my schedule so that down-time exists in our household. I can be happy with dirty floors much easier than I can live with clean ones, but no space to breathe because I’m too busy maintaining perfection. Beauty in the mess, right? That’s what I was thinking. You should (NOT) see my room! Just wanted to finally actually comment on our blog rather than just on FB. I love your writing, so down to earth an inspirational all at the same time. You really bring life into focus on the important stuff, the love of your family, and dispense with the less important stuff – like housework and managing to stay sane at all times, as we all know that that is unlikely when you are a mum. I have two girls, 5 and nearly seven, and I find being a mum to them, a wife and work from home mum enough to cope with, I don’t know how you manage with 5! I have small mental breakdowns when my sisters come to stay with their kids, and that’s usually only for a few days. And they have boys, who are so different from girls! Talk about loud! Thank goodness for wine. my 5 kids are 6 and younger. Does it get better?? 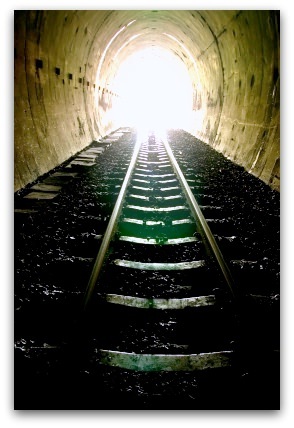 Is there a light at the end of the tunnel or is it (as I suspect) and oncoming train?? People say it gets better but things are getting worse. They fight and scream and cry all the time. The four year old already rolls her eyes at me. The youngest (at 2) just says no, giggles and does what he wants. So tell me, your kids are older, does it get better?? Do they at some point become friends with each other? Or do they become friends so they can gang up on us?? It DOES get better. I know that’s both helpful and not at all helpful. I’ve written about the desolation (and consolation) of the younger years here… http://putdowntheurinalcake.com/2012/10/an-open-letter-to-new-mama-me/ …and I’ve written about the fact that, while it doesn’t necessarily get “easier,” you do get so very, very much stronger and it IS better, here… http://putdowntheurinalcake.com/2012/06/mothering-doesnt-get-easier-it-gets-stronger/ … and here… http://putdowntheurinalcake.com/2013/03/down-and-halfway-up-thoughts-on-strength/. Oh thank you!!!! I am so glad to hear about the sleeping in thing because well, they don’t do that here and I REALLY wish they would! 🙂 I so appreciate your writing and your willingness to let it all hang out there so we can laugh and know that we are not alone. First, I am so glad I found this blog! SO GLAD! I also have 5 kids, six and under. I just drink coffee until it is appropriate to switch to wine. I love this time BUT I am looking forward to nagging kids to wake up instead of begging them to just let me sleep for 5 more minutes! Thank you Beth for your words and humour and honesty. Teens are amazing. I see why people say they are hard, it’s incredibly mind-blowingly difficult sometimes and they can be more emotionally challenging, but you can actually talk to them – and they talk back. Sometimes loudly (some people call it yelling), sometimes emotionally (you know, meltdown melodrama), but sometimes with unexpected glimmers of wisdom, humor, and grace. You get to see some of the fruit of all your hard work as the kids get older and bits of pieces of them start to grow up. Besides, a house full of teenagers laughing and eating and being themselves with no holds barred is fantastic. And, as others mentioned, they sleep in people. It’s a glorious thing. And they can cook their own frozen eggs. I was really taken back by picture day being day two of school TOO… My son remembered to tell me at 9:30pm (in between three kids bringing 100 sheets of paper that needed my signature and I failed to read any of them) and I have no idea where the checkbook is but found a crumpled 20 in my jeans (I never have cash so this is quite a find)… of course I forgot to remind him to dress nice, and since no one dares (I am really awesome and cool in the morning but I hate to wake up, I tell them that I am mean and no one has ever wanted to test me on it) to wake me up in the morning. Three teenage boys manage to get ready for school without making a sound. I remember around 10am and I am sure that he is wearing a some totally awful clothes. Turns out he did put on his dress shirt (but didn’t take off his sweatshirt for the picture). And if the pictures turn out anything like the school ID card did, it was NOT 20 dollars well spent! Oh, that is funny! It’ll be a memory at least! Mine are all too little to threaten with waking me up, but I’m cranky in the morning anyway! I found a 20 in my wallet today I didn’t remember was there! Good thing ‘cuz I needed it for the farmer’s market! Last year for school picture day I made sure my oldest had his haircut, we showered before school, picked out nice clothes that fit, the whole enchilada. A month later I found the order form for his pictures that I never sent with him to school that day. Fail:( Once I got over the disappointment I laughed for 10 minutes straight. I give Beth and this blog a lot of credit for giving myself grace in the chaos, not taking myself too seriously anymore, and finding the funny in parenthood. So thank you Beth, this parenting thing has been a lot more fun since I found you! Do you have any mantras or verses you repeat to yourself during the day to keep you going? I had a friend at work who would always say, “I love my job. I love my job. I love my job,” when something stressful would come up. I feel like I should have something like, “This too shall pass,” or an entire Psalm memorized. But I imagine it’d be more along the lines of, “Just keep swimming.” So you look at the awesome and normal room you shared above that could drive you to drink, and say to yourself _____. I guess I ask because I really admire your attitude. I hate flying. Hate it. Hate it hate it. But I love to be places besides home and my dad is a pilot, so I’ve spent a lot of time in the air. (http://putdowntheurinalcake.com/2013/02/left-turns-ahead/) I read somewhere in a book once that more people die annually being kicked to death by donkeys than die in airplane crashes. So, for the past many years, when I fly, I clutch the armrests and quietly chant “more people die annually being kicked to death by donkeys, more people die annually being kicked to death by donkeys.” It’s delightful, and people who sit next to me adore it. That’s probably not what you had in mind, was it? I’ll give this some more thought. That’s perfect! My husband is flying out tomorrow. How did you know?? So who will play you in the movie of your life? I’m being played by Kate Hudson and my totally biological sister wants to be played by Jada Pinkett Smith so, we’re depending a bit on creative license and all. Neil Patrick Harris. We’d have to work very closely together for months ahead of time, and I just want to have 100,000 minutes of hang-out time with him. Love it! You know those family signs that are popular right now? The ones that say “We Do Grace, We Do Hugs” and so on? They always seem a little disingenuous to me. Like I need it to include “We Do Puke-fests” and We Do Brawling Over Legos” and “We Do Catastrophic Meltdowns” in order to tell the whole story. But “We Do Train Wrecks”??? Now THAT TOTALLY sums up the situation here! I might have a sign commissioned, perhaps some of us could get a group rate, lol. WE DO TRAIN WRECKS! Love it! I want the sign. My brother actually set up a Five Kids store for us online, like, months ago, but I forgot to tell anyone. I made him make me an Angery Dragon t-shirt (http://putdowntheurinalcake.com/2013/05/hormones-kids-have-them/). I can have him set these signs up, too. Oh, yeah. The book question. I got so excited about WE DO TRAIN WRECKS signs and Angery Dragon t-shirts that I forgot to answer. I do have a really great agent who’s working with me on next steps to assemble a book proposal. I do hope that happens! And thanks for asking. Usually if you do one book, the publishers seem to want more…So, if you do a few books…my request would be something to tell about your adoption experiences, to help others who might want to adopt.